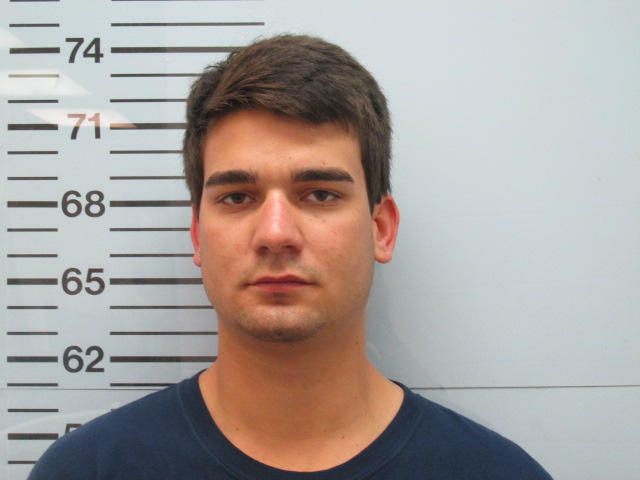 On Monday, October 24, the Oxford Police Department arrested Adam Aguirre (22 Oxford, MS.) for Grand Larceny. On October 20, 2016, The Oxford Police Department received a report about a stolen vehicle. Information was later received from an anonymous caller that Aguirre had been driving the vehicle and the vehicle was on Hathorn Road. Investigators went to Hathorn Road after receiving the information and found the vehicle. Investigators later linked Aguirre to stealing the vehicle. Aguirre was arrested and given a bond of $20,000. On October 25, 2016 investigators charged Anthony Wilson (42) with one count of Armed Robbery and one count of Robbery. Wilson was accused of Armed Robbery on October 21, 2016 when he asked for a ride to Anderson Road. Once on Anderson he presented a firearm then took clothing and food from the victim. The victim was not injured at the time of the robbery. Wilson’s bond was set at $25,000.00. On Monday, October 24, 2016 investigators of the Oxford Police Department charged Octavious Marshall (20) of New Albany and Taylor Beard (20) of Oxford with one count of Residential Burglary. On October 21, 2016 Marshall & Beard were accused of breaking into an apartment on Anchorage Road. They were at a party on Anchorage Road when they entered another person’s residence. Once inside they stole several items and were identified by witnesses in the area. Bond for both was set at $2,500.00. 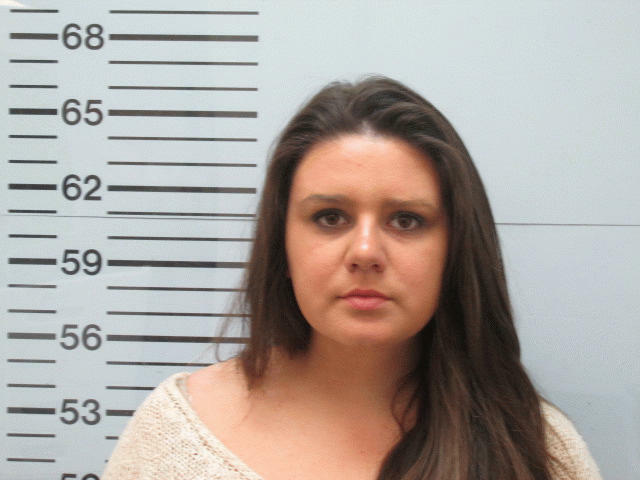 On Thursday, October 20, 2016 investigators of the Oxford Police Department charged Hannah Smith (20) of Brandon, MS with Credit Card Fraud (97-19-21). On Thursday, October 20, 2016 investigators of the Oxford Police Department charged William T. Jones (21) of Brentwood, TN with felony malicious mischief. Jones destroyed 20 mailboxes in the Magnolia Grove and Breckenridge subdivisions. Jones was caught by an off-duty OPD officer. The officer heard a loud noise and saw Jones destroying the mailboxes. The officer and Jones got in a short foot pursuit and Jones was taken into custody without incident. The value of the damages was over $1,000.00. Jones bond was set at $5,000.00. On Monday, October 17, the Oxford Police Department arrested Jazzmonica Johnson (22 Oxford, MS.) for aggravated assault (accessory before the fact). On Thursday, October 6, the Oxford Police Department received a 911 call about gunshots fired at Taylor Bend Apartments on Old Taylor Road. The caller stated after the gunshots there was a female screaming. 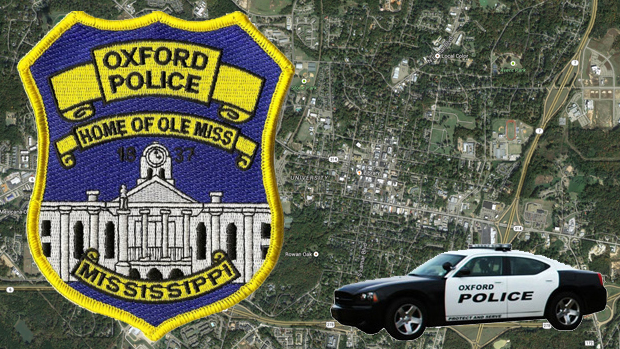 The Oxford Police Department dispatcher later received information that there was a victim with a gunshot wound and the victim was headed to the emergency room by personal vehicle. Officers secured the crime scene and OPD Investigators arrived and processed the scene. The victim arrived at Baptist Hospital and there were officers standing by with him. The victim had severe injuries and was later placed in ICU. Officers later found out that Johnson transported the victim to the emergency room and she was interviewed by investigators about the incident. After further investigation and speaking with both the victim and suspect, Johnson was charged with aggravated assault (accessory before the fact) due to her involvement of having the suspect come to the scene to confront the victim. Johnson was given a bond of $15,000.00. On 12 October 2016 an elderly male reporting that his credit card was used to purchase tires at a local tire store in Oxford, MS for $497.75. Through the investigation, it was determined that Deandre Fondren and Rebecca Pryor who was currently acting as the caretaker for the elderly male were responsible for the purchase. The tires were placed on Mr. Fondren’s vehicle on 31 August 2016. Both Fondren and Pryor were arrested and given bonds of $2,500. OXFORD, MISS – The Oxford Police Department and Oxford Housing Authority will be hosting a haunted house on Oct. 20, 21, and 22, 2016 from 6 pm to 9 pm in celebration of Halloween. The haunted house will have several guides to take attendees through various “haunted” scenes. Tickets for entry are $3 a person and all proceeds go to the Oxford Peace Officers Association. For younger kids, there will be a designated area with face painting and games. The kid activities are geared towards children 8 and under and admission is $1. In efforts to continue building relationships with Oxford residents, the Oxford Police Department fosters community engagement by hosting and participating in events geared towards the inclusion of all community members. The police officers would also like to show Oxford residents that OPD cares about more than just enforcing laws, and that establishing positive relationships with all community members is a priority. Oxford Police Department supports the community and strives to be involved in community-related activities in a manner that is fun and positive for all. On Friday, October 7, the Oxford Police Department arrested Travis Williams(22 Tchula, MS.) for burglary. On Monday, March 21 2016, the Oxford Police Department received a call about a burglary that had already occurred at Edinburgh Place. The victim had several items stolen from the residence and one item was pawned at USA Pawn Woodrow in Jackson, MS by Williams. We found a knife at the scene of the burglary that was sent to the crime lab and Williams fingerprints were found on the knife. A warrant was issued for Williams and he was arrested in Madison, MS. Williams was given a bond of $5,000. On October 7, 2016, officers with the Oxford Police Department were dispatched to the area of Circle K on University Ave for an auto burglary. The suspect who stole items from two separate vehicles was chased down and held until officers could arrive. The suspect who was identified as Jasper Joiner was in possession of the stolen merchandise. Joiner was taken before a Justice Court judge for his initial appearance and given a bond of $5,000. He is currently at the Lafayette County Detention Center. Around 9PM last night officers were dispatched to Baptist Memorial Hospital for a welfare concern. When officers arrived they found a male there that had been shot multiple times. The individual shot was conscious at the time we arrived and officers were able to get a brief statement. Officers found out that the victim was driven to the ER by a friend. We spoke with his friend and she told us that her and the victim were together and they got into a verbal argument as they drove down the road. She pulled into an apartment complex on Old Taylor Road where she called one of her friends to come help her. The friend that came was Artemus Boyd. When Boyd arrived he and the male got into an argument and Boyd pulled a gun and fired multiple times striking the victim. Boyd fled on foot and the victim was driven to the ER by his female friend. As we interviewed the female she confirmed that she called Boyd to the complex and Boyd shot the victim. Boyd was identified, located and arrested. Bond has not yet been set. The victim is in stable condition at this time. Bond was set at $50,000. At approximately 8:30pm on October 1, 2016 a 911 phone call came through dispatch reporting a welfare concern at 1517 University Ave. in a room of the Ole Miss Motel. Officers identified two males at their arrival. EMS arrived and were unable to help the first subject and the second subject was given medical attention and transported to Baptist Memorial Hospital – North Mississippi. Henry Chandler Jenkins (39) of Lafayette County, MS was pronounced deceased on scene by Lafayette County Corner Rocky Kennedy. Donald Ludie Lassiter (52) of Pennington, AL sustained major injuries and was transported to receive medical attention. After further investigation, Oxford Police Department Investigators arrested Lassiter at Baptist Memorial – North Mississippi on the charges of Manslaughter for the death of Henry Chandler Jenkins. Death was a result of strangulation as determined by the state autopsy report. Bond was set at $100,000. On Wednesday, October 5, 2016 investigators of the Oxford Police Department arrested Deairaney Hurt (20) of Sardis, MS for accessory after the fact. Hurt was charged with helping a suspect flee the scene of a robbery by meeting him in the parking lot and driving him away. The robbery took place on August 28th, 2016 on West Jackson Avenue in the Wal Mart parking lot. Hurt’s bond was set at $1.500.00. On October 2nd officers of the Oxford Police Department responded to a burglary on Hathorn Road. Officers obtained information for the report and then performed a walkthrough of the area. During this time they located these two men hanging around outside. Officers were able to determine that Adrian J. Miller and Christopher J. Parker were the suspects. Officers were also able to recover the stolen property which was hidden in a nearby apartment. Miller and Parker were arrested and transported to the Lafayette County Detention Center. Miller and Parker were taken before Judge Carolyn Bell for their initial appearance and their bond was set at $3,000.00. On Monday, October 4, the Oxford Police Department arrested John Borges(21 Oxford, MS.) for Aggravated Assault. The Oxford Police Department received a call about a fight on Bramlett Blvd. When we arrived we found a person cut with a knife, we also received information that someone pulled a gun during the altercation. The knife that was used in the incident was found on scene as well as a gun. Both items were placed in evidence at the Oxford Police Department. The victim was treated by EMS on the scene, nonlife-threatening. The victim identified Borges as the man that assaulted him. Borges was arrested on scene and later given a bond of $15,000. OXFORD, MISS (Oct. 2, 2016) – At approximately 8:30 pm on October 1, 2016 a 911 phone call came through dispatch reporting a welfare concern at 1517 University Avenue in a room of the Ole Miss Motel. Upon their arrival, officers identified two white males, one subject was determined to be deceased and the other subject had sustained serious injuries. EMS arrived and were unable to help the first subject and the second subject was given medical attention and transported to Baptist Memorial Hospital – North Mississippi. Henry Chandler Jenkins (39) of Lafayette County, Mississippi was pronounced deceased on scene by Lafayette County Corner Rocky Kennedy. Donald Ludie Lassiter (52) of Pennington, Alabama sustained major injuries and was transported to receive medical attention and remains in custody of the Oxford Police Department. At this time Oxford Police Department Investigators are still working on the details of the incident charges are pending and no further information is available at this time. As more information becomes available we will send out an additional release.